Poly Mailers are polyethylene shipping bags which are waterproof, tear proof, self-sealing, and tamper resistant and also very affordable. These polyethylene bags are available in several options including clear shipping bags, white mailing envelopes, returnable custom poly mailers, and even custom poly mailers to create brand identity. Poly Mailers are easy to handle and lightweight than the corrugated boxes. Using this type of mailers is a great way to reduce business expenses, regardless of the industry. Poly mailers and envelopes provides robust security and protection which makes them the best choice for shipping purposes in all sorts of handling and weather. Poly mailers also accommodate water-based or pressure sensitive shipping labels. 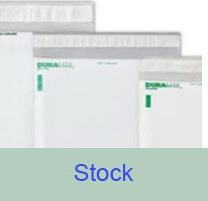 Polypak Packaging manufactures custom and stock plastic shipping envelopes for e-commerce, health care, soft goods, and retail apparel customers. At Polypak Packaging, we have wide range of poly mailers available to cover all your shipping needs. We have MightyLite ®, ProLite ®, DuraLite ®, RePak TM Returnable Mailers, Showcase and Almost Forever ® as our stock mailers. Please check them all in our stock mailers section. You can buy them by visiting our E-store webpage. 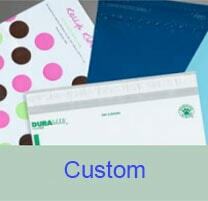 By choosing custom printed poly mailers, you have an excellent medium for marketing your business and brand. If you think about it, a smartly designed custom poly bag will be seen by virtually everyone who handles the mailer outside of the company, including postal workers, delivery drivers, air couriers, and so on. Please check Custom mailer section to check description of a few of them. Simply lets us know your custom mailer need by visiting Request a Quote webpage or calling us at our toll-free number 800-826-4000 to speak with our company epresentative. We will get back to you with a quick and competitive quote.